“Trash pandas”—a.k.a. 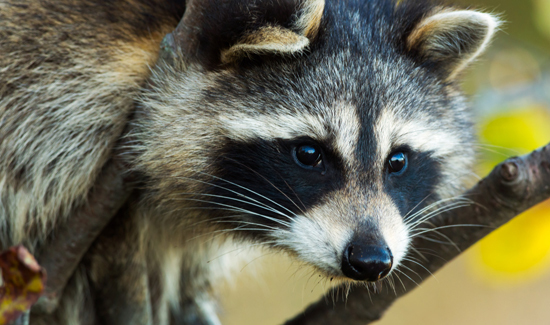 raccoons—are remarkable creatures. They’re highly intelligent and frequently outsmart whatever system a homeowner comes up with to keep them out of the garbage. As a group of NYPD officers found out recently, raccoons can move with tremendous speed if they’re being chased, unlike their usual casual stroll. A rascally raccoon repeatedly outfoxed New York’s Finest on a busy Brooklyn street Tuesday — to the delight of spectators who cheered on the critter. The NYPD deployed two officers from its Emergency Service Unit, a force trained to deal with hostage situations and other high-risk scenarios, to capture the animal, which was stuck in the retractable metal door at Finest Furniture 2 in Flatbush. The cops arrived at around 12:20 p.m., and started the hunt by attempting to snag the raccoon with catch poles. Usually, online slide shows are lame and a waste of time, but these shots of the cops chasing the critter are really great.